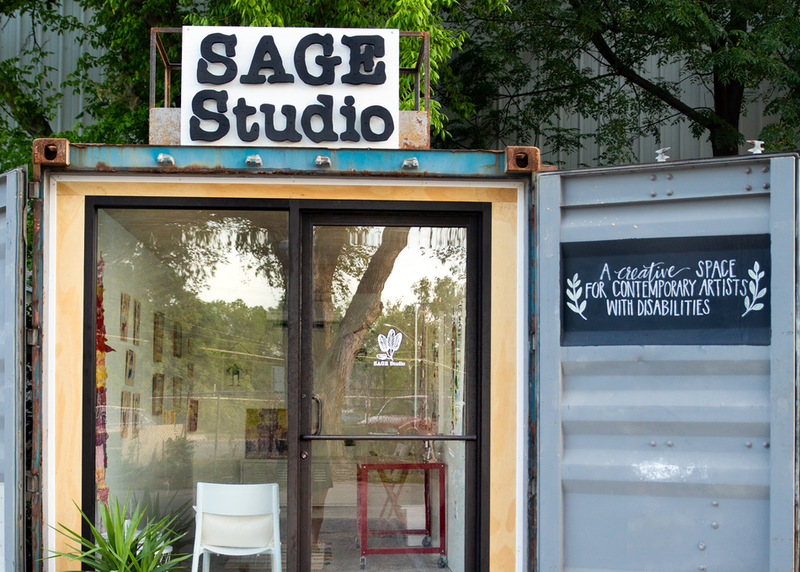 Located in a refurbished shipping container in East Austin, SAGE is a studio and gallery space that provides adults with intellectual and developmental disabilities the materials, space, and support to produce, exhibit, and sell their artwork. Using SAGE and other programs across the country as models, what can we learn about how best to support artists with disabilities on their quest to becoming working artists? How can we bring these talented artists into the contemporary art conversation?